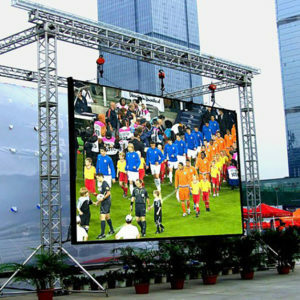 LED displays are often found outdoors in billboards and store signs. They can also be found in destination signs on public transportation vehicles or as part of transparent glass area. Due to the far viewing distances in sports venues, the high brightness of LED displays can meet this special requirement and ensure that viewers get clear images.